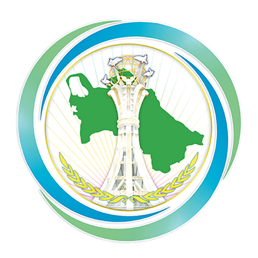 On the 16th of March 2019, an exhibition fair opened in the premises of the Chamber of Commerce and Industry in Ashgabat dedicated to the 11th anniversary of the establishment of the Union of Industrialists and Entrepreneurs of Turkmenistan. The Chairman and representatives of the Parliament (Mejlis) of Turkmenistan, Deputies of the Chairman of the Cabinet of Ministers of Turkmenistan, heads and representatives of the ministries and agencies of the state, as well as heads and representatives of the diplomatic corps accredited in the country, foreign entrepreneurs, and the representatives of the mass media participated to the official opening ceremony of the exhibition. It is worthwhile to note that a respectable delegation of the Kingdom of Bahrain that has arrived to Turkmenistan on a working visit, took part in this event. The guests attentively listened to the congratulatory message of the President of Turkmenistan dedicated to the 11th anniversary of the establishment of the Union of Industrialists and Entrepreneurs of Turkmenistan, during which the vital role of the private sector of the country in the development of national economy, including the introduction of modern technologies, transition to digital economy, production of high quality and competitive goods, as well as the attainment of food abundance in the country was noted. During the exhibition, the participants got acquainted with the achievements of the Union of Industrialists and Entrepreneurs of Turkmenistan since the establishment of this organization. The guests received information, including printed and audiovisual materials of various organizations of the private sector. The visitors were also accustomed with the produce of organizations actively working in the spheres of textile, furniture and leather production. Among others, the guests expressed great interest in exploring the stands of large construction and industry companies including the production firms working in the food industry of domestic market. It is worthwhile to note that the demonstration of modern carpet production of entrepreneurs and traditional craftsmen caught special attention of foreign visitors. The exhibition fair will end in the evening of March 17, 2019.